A 17th-century home in New Jersey needs a new caretaker, and one who has $2.9 million to spend. A 17th-century home in New Jersey needs a new caretaker, and one who has $2.9 million to spend. Built between 1638 and 1643, the Nothnagle Cabin in Gibbstown, New Jersey, is often cited as the oldest surviving log cabin in the United States (it has a close contender in Pennsylvania’s Lower Swedish Cabin, dated to 1640-50). After decades of private ownership by one family, this National Register of Historic Places listed site is now on the market. Among the challenges of maintaining the cabin, erected with interlocking square-hewn logs that don’t require nails, is making repairs by hand using local clay. 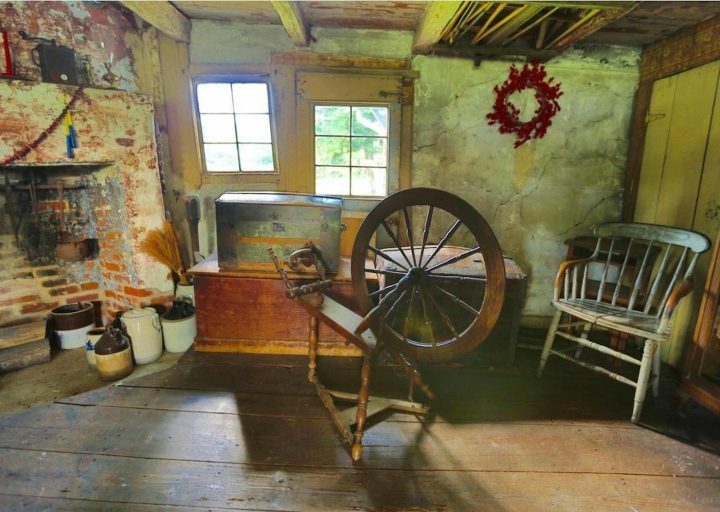 Weichert Realtors-East Brunswick has numerous photographs from the exterior and interior of the cabin, which has later additions (one is where the Rinks reside), but its oldest section is kept as a museum to its past. The Rinks have regularly given free tours to those who make an appointment or are just passing by, and display artifacts discovered on the grounds, such as an almost three centuries-old shoe. The “Nothnagle” name comes from a family that had acquired it in the 19th century, although the construction is sometimes attributed to a man named Benjamin Braman. 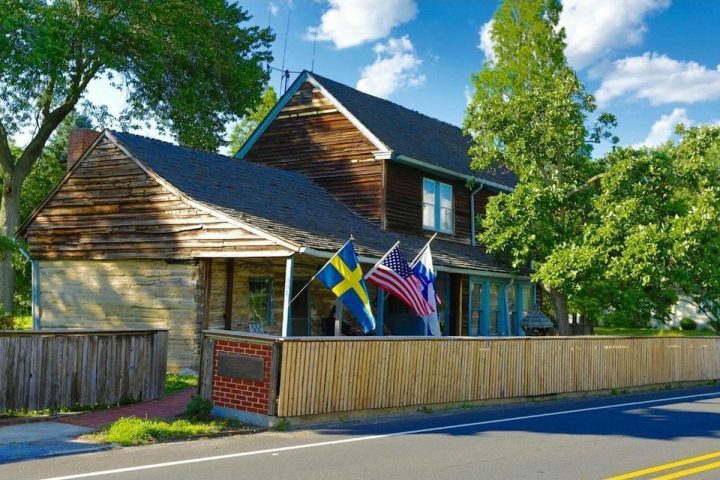 Due to the cabin’s design, it’s believed that Finnish settlers in the New Sweden colony constructed the sturdy home. 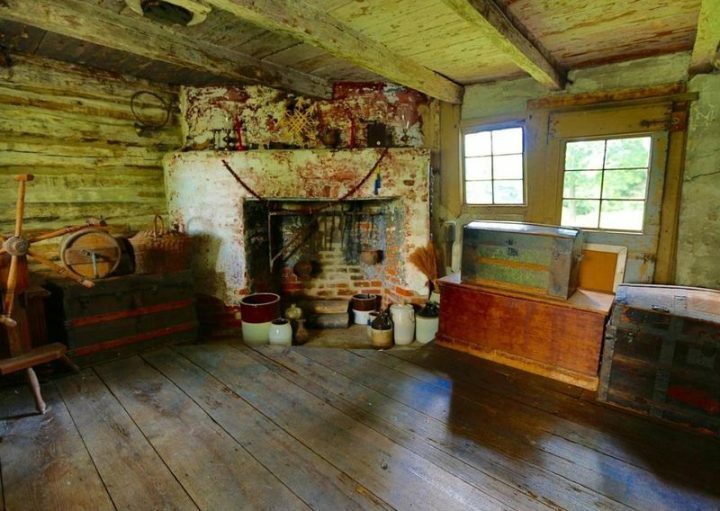 Harry Rink told the New York Times that the “ironwork for hanging pots in the fireplace is from the 1590’s and was brought from Finland.” The cabin’s survival is partly because of the hardwood oak of its walls. However, its endurance is largely thanks to caring owners who have respected its historical heritage, and opened its doors to the community.